A device launched into the atmosphere to gather ‘very valuable’ meteorological information has been found on farmland near Tayinloan. 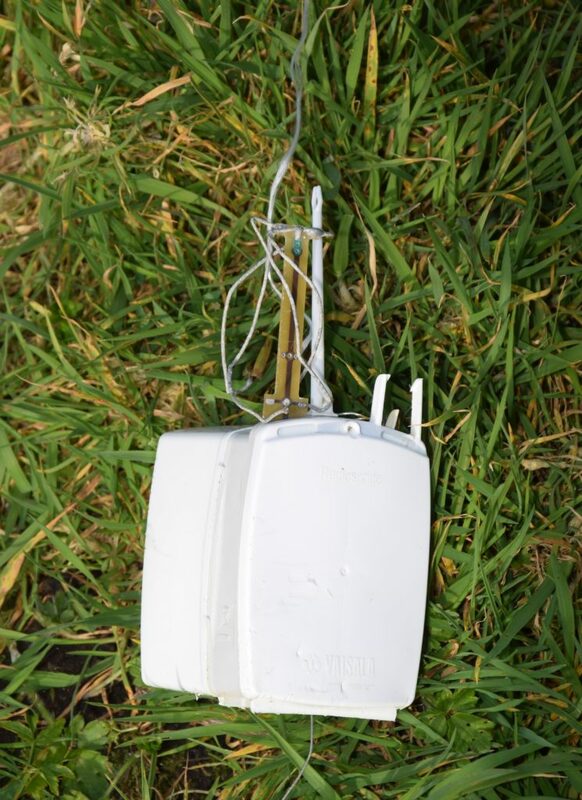 The radiosonde would have been attached to a helium balloon and released into the air, taking highly accurate atmospheric measurements used for weather forecasting and monitoring climate change. Met Office spokesman Grahame Madge said that he ‘suspects strongly’ the instrument was released from the national weather service’s Castor Bay meteorological station but, without its serial number, which appears to have fallen off, it could not be confirmed. The radiosonde, almost 10cm tall, 7cm wide and 6.5cm deep, was made by Finnish company Vaisala. The Met Office releases thousands of the devices from six locations across the UK each year. Mr Madge told the Courier: ‘The instruments on the devices provide measurements of temperature, humidity, air pressure, wind speed and wind direction, so they are very valuable in terms of providing meteorological information back to the Met Office. Mr Madge explained that radiosondes, which are attached to helium-filled balloons and released in accordance with aviation guidelines, typically reach altitudes of between 20km and 38km before the balloons burst. The number released each day depends on types of weather conditions, with more launched to gain extra insight during particularly challenging forecasting conditions. Mr Madge explained that the equipment provides basic information which complements all the other information the Met Office gathers from sources such as ground stations and aircraft. He said: ‘They are extremely valuable because a lot of the other information we get is point source data but, with a radiosondes, we get that continual slice up through the atmosphere.